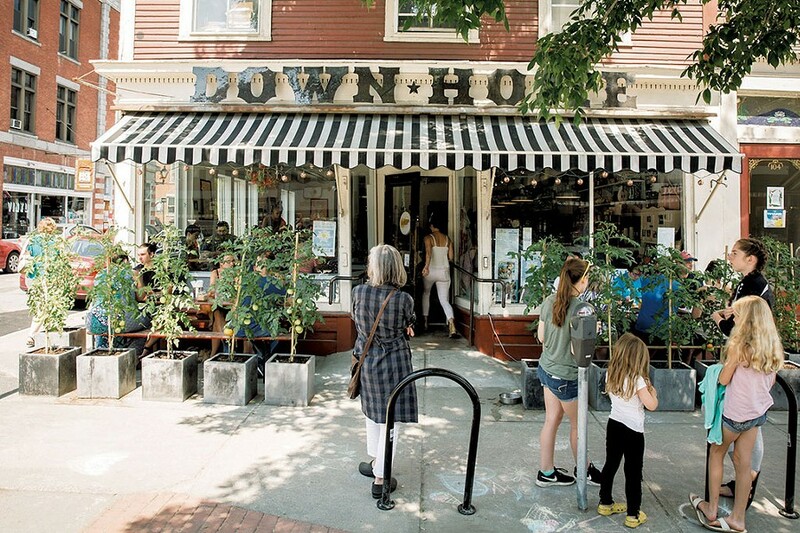 Last September, Down Home Kitchen opened for breakfast and lunch at the corner of Montpelier's Langdon and Main streets. 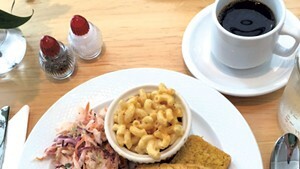 The modest menu offered southern comfort foods such as chicken and biscuits, fried catfish, and eggs. Over the past year, the menu has grown to include burgers; country-fried steak; hummingbird and Coca-Cola cakes; classic cocktails; milkshakes laced with cookies, espresso and Bailey's Irish Cream; and hard-to-find Benton's Smoky Mountain Country hams and bacon. Within a few months of opening, proprietor Mary Alice Proffitt added a wildly popular Sunday Church of Brunch, which continues to draw lines out the door weekly. Around the same time, Proffitt recalls, she began dreaming of serving dinner. "I've been really anxious to do things in the evening," she says, "because there are so many people who can't get here in daytime hours." When Proffitt was growing up in Georgia, her family would gather for Sunday suppers, passing platters of fried chicken, warm casseroles, and bowls heaped with okra, collards and other sides. 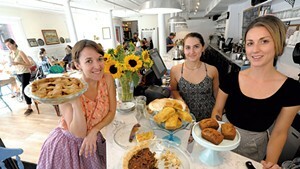 "It's a fun way of interacting with people," Proffitt says of eating family-style, "because it encourages conversation. It's, 'Hey, can you pass me the butter or jam?' You're not just having your food that you ordered." Accordingly, starting October 1, the restaurant will offer family-style Saturday sit-downs. Dishes will include perennial favorites such as fried chicken or fish, plus an array of breads, sides and desserts. Bar seating will accommodate patrons looking for à la carte cocktails and snacks. 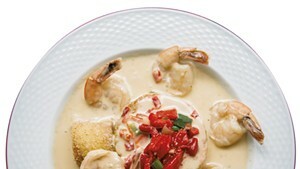 In time, Proffitt hopes to use the meals to explore regional southern flavors. "The South is such a huge area," she says, noting that it spans cuisines as distinct as those of the Low Country, Appalachia, New Orleans and Texas. But before all that, Down Home will host a one-year birthday bash on Saturday evening, September 17. The "old-fashioned street party" on Langdon Street will offer east-Carolina-style barbecue, fruit and cream pies, craft beer and cocktails from Farrell Distributing, and live bluegrass from local pickers such as Danny Coane of the Starline Rhythm Boys. The original print version of this article was headlined "Birthday Bash"